Millianna's founders Sharmilla Persaud and Arianna Brooke, pictured in their Spokane studio last fall. Almost a year ago, we introduced readers to the sparkly, eye-catching pieces made by Spokane-based jewelry house Millianna. A lot has happened since then, and as the holiday shopping season ramps up, the women-owned business is bustling and busier than ever. Last fall, Millianna opened up its downtown office and studio for a special friends and family shopping event, offering its high-end, handmade, cut crystal collections to local trendsetters. Unfortunately, this year's version of the event had to be postponed because Millianna owners and lifelong best friends Sharmilla Persaud and Arianna Brooke were invited to a huge holiday market event in New York City that kicked off this week. Before we tell you more about that event and what it means for the growing business, locals should know they can still visit Millianna's studio to shop and place custom orders to give as gifts — or treat themselves — in the coming weeks. Orders can also be made online. Almost all of the studio's pieces are handmade by local artisans, many of them women who came to Spokane as refugees. Millianna's office (905 W. Riverside, Suite 608) is open Monday to Friday, from 9 am to 5 pm. The company expects to schedule another special shopping event and party sometime in the spring. Meanwhile, the reason for the holiday sale's postponement is cause for Millianna to celebrate. The company was chosen as one of 40 (out of more than 800 applicants) to participate in a special holiday market at New York City's Grand Central Terminal, open daily through Christmas Eve, in the stunning Vanderbilt Hall. The Grand Central Holiday Fair began in 1993, and has established itself as one of the longest-running indoor holiday markets in NYC. "A million people go through Grand Central every day, and this is a four-week event," says Millianna's Public Relations Manager Jessica Brooke (Arianna's sister). She says most vendors at this highly trafficked holiday shopping event can expect to bring in more than $100,000 in sales. Chokers are back and trendy as ever. 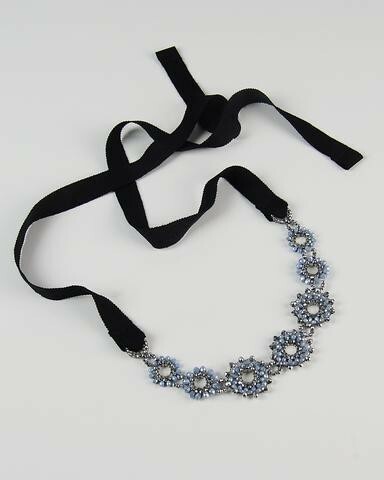 This Millianna piece is called the Anouk Chocker, and it comes in multiple color combinations. Vendors chosen for the Holiday Fair met criteria such as being based in America, offering handmade goods and founded upon a socially-conscious business model. Shoppers can not only find jewelry there, but also other women's and men's accessories, home decor, clothing, toys and fine art. "This will definitely help us grow," Brooke says. "You have all the people who take the train to commute, plus tourists, so I think it'll be really good. Kind of stressful, but really good!" In addition to that, Millianna's pieces are now sold at some of Nordstrom's flagship stores in Chicago, Toronto, and Austin, Texas. Select pieces are also available at Nordstrom.com. Preparing for this major holiday event has meant that Millianna's employees — local women who mostly work from home and are paid a fair wage based on how long it takes to hand-bead each piece — have stayed busy helping fill up inventory for the Grand Central event and to keep Nordstrom amply supplied. So, as you start thinking about all the fashionable women in your life this holiday season, consider supporting this local, women-owned business. 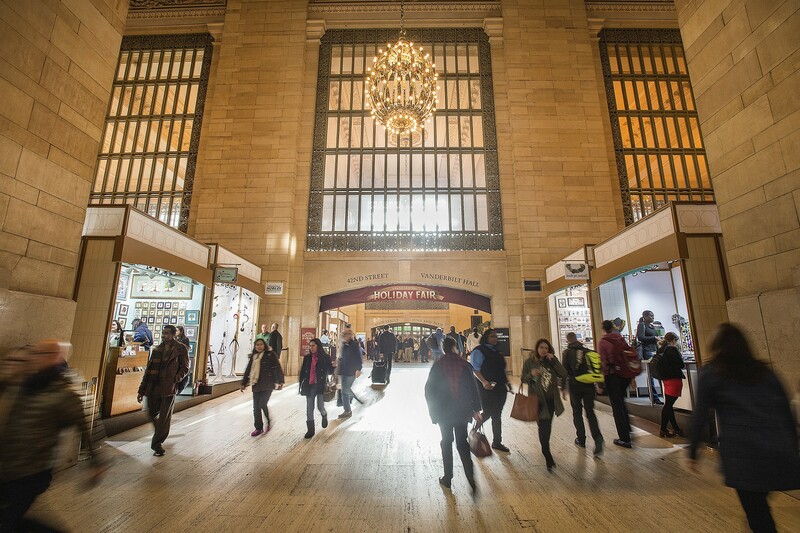 Shoppers in New York can visit the Grand Central Holiday Fair through Dec. 24.